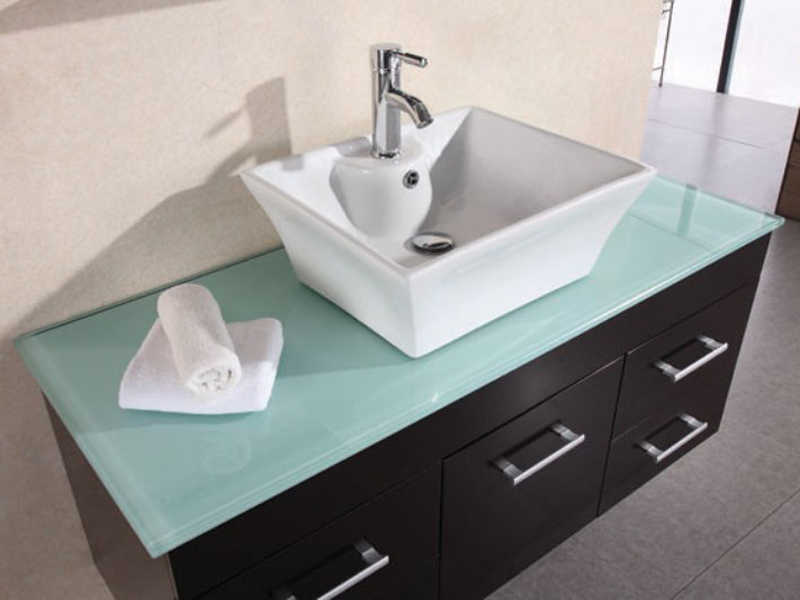 The beauty of the 36" Madrid Single Vanity comes from its modern style and conventional design. 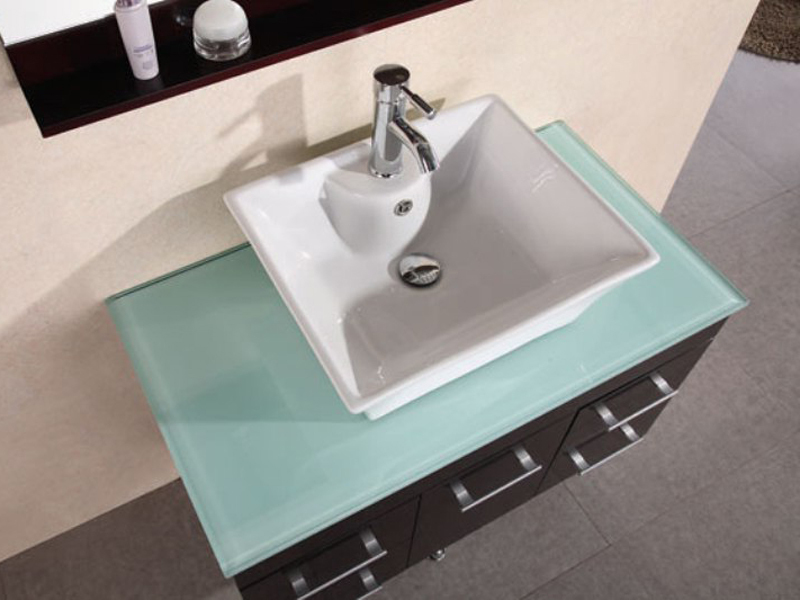 Made from solid, kiln-dried wood with a warm Espresso finish, this vanity also features a tempered glass top that complements its designer ceramic vessel sink. 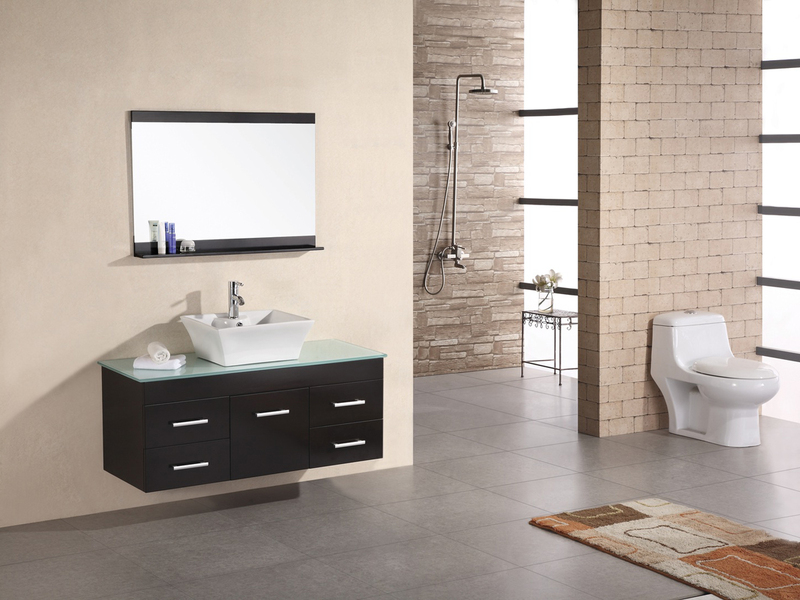 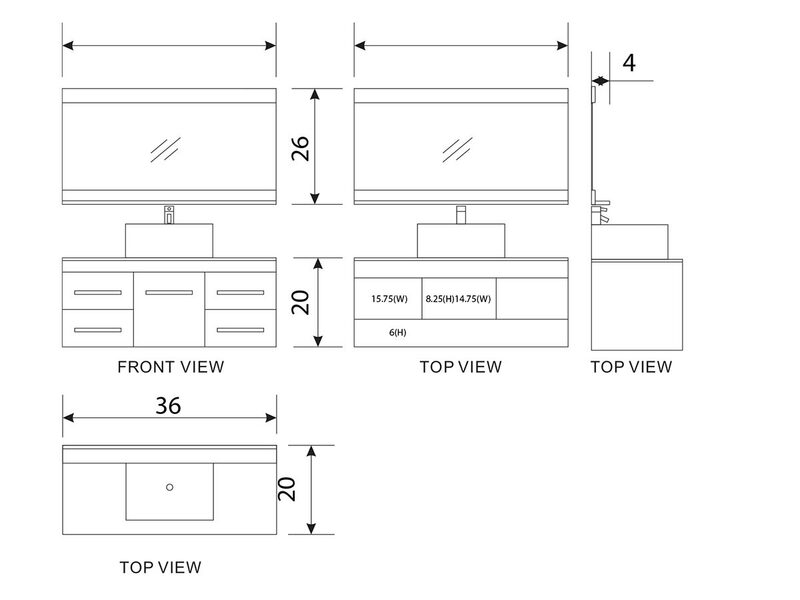 With two fully functional drawers on each side with a central single-door cabinet, along with its wall-mounted design, the Newton combines functionality with a floor-saving design.